What do I need to obtain an International Driving Permit? How long are International Driving Permits valid for? Can I renew my International Driving Permit? Where can the International Driving Permit be used? It’s true that Japan has one of the most efficient public transportation systems in the world. Because of this, many travelers coming to Japan buy a Japan Rail Pass, utilize the subway stations, the bus, or taxi services. But outside of the major metropolitan areas are many remote destinations in Japan that are only accessible by car. Regions of Japan like Kyushu, Hokkaido, Shikoku, and Tohoku are all perfect destinations to rent a car for a leisurely Japan road trip. Disclaimer: We partnered with Budget Japan in exchange for our honest review. As always, all opinions are our own. The first thing to consider when renting a car is to decide what company to use. 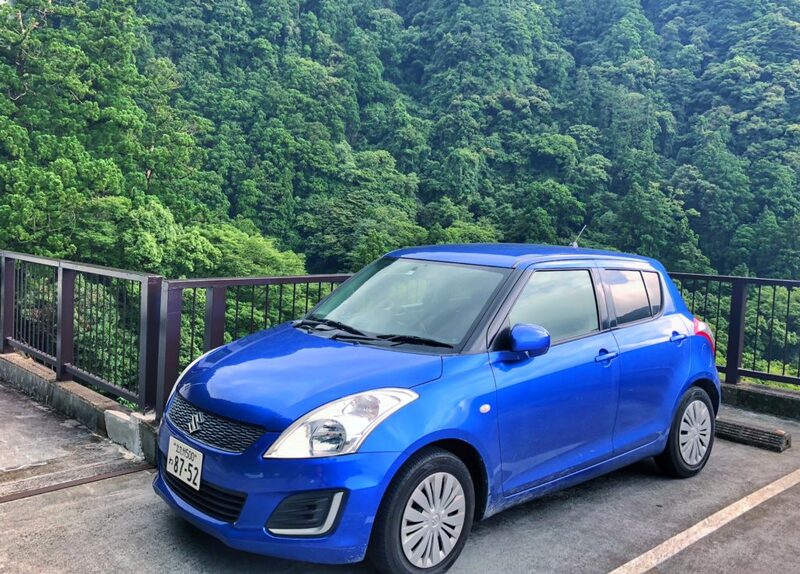 Budget, a popular car rental company in the United States, has many branches in Japan that offer excellent service, competitive pricing, and variety of vehicle types to suit your travel needs. During our time in Japan, we rented from Budget twice, once for our 25-day road trip through the southern half of Japan and then again for 7 days in Hokkaido. 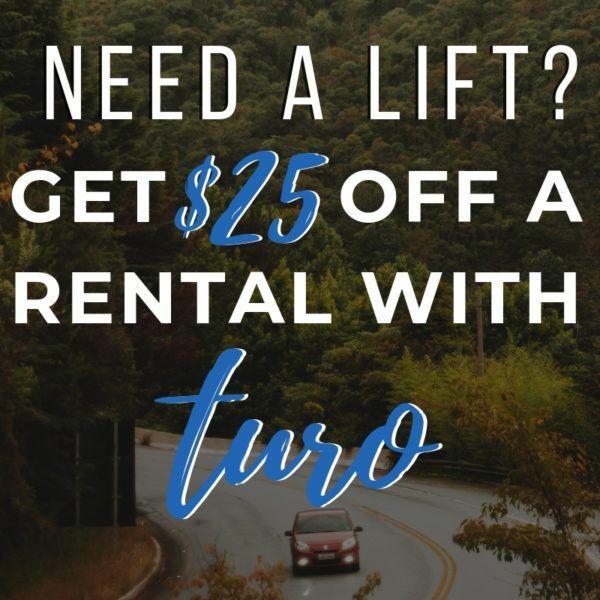 There are a number of websites you can book your rental car online prior to your Japan road trip, one being directly through Budget, RentalCars, ToCoo! Japan, and numerous other booking sites. The next step is to determine what type of car you want for your trip, each different style suiting a variety of needs. Light cars (or Kei cars) are typically the smallest (typically 4 people) and typically most economical vehicles that you can rent. 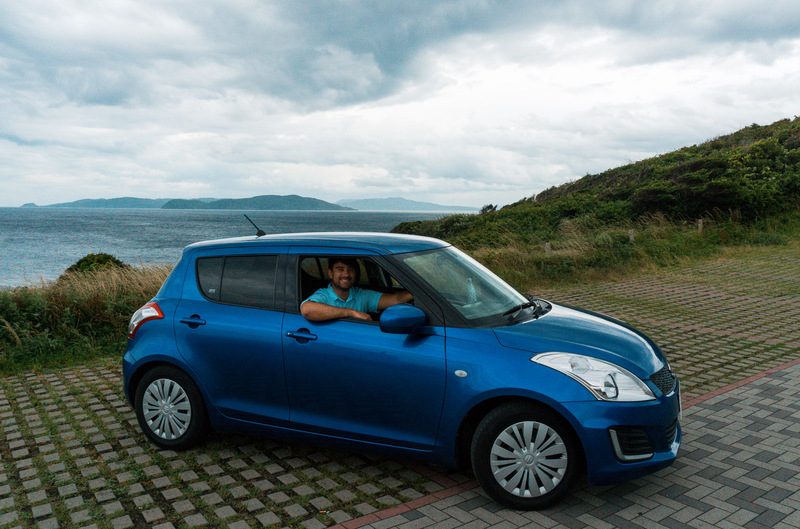 During our 7-day driving trip in Hokkaido, we rented a Kei car. They are typically shaped like a box and have minimal to no extra storage for luggage. The small size dimensions and underpowered engine (under 660cc) are due to government regulations for economic vehicles. To compare how underwhelming the power is, a good number of ATVs in the United States have similar (or larger) engines, and they don’t have four doors and two rows of seats! The small engine makes it difficult to get up to speed when getting on expressways and you can practically forget about passing anyone on two-lane roads. If you are traveling as a couple, a Kei car could meet your needs if only driving for short distances, but would not recommend for 3 or more people, unless going on a day trip with no luggage. We had to fold down the back row of seats to fit our two hiking backpacks, two-day bags, and a medium suitcase. The car has pretty good gas mileage, but the vehicle is so small that the gas tank required frequent visits to the service station. The staff at the checkout counter informed us that since it was an economy car it was ineligible to have an ETC card or expressway pass (more information about ETCs and passes below) but would have cheaper tolls than other vehicles. I am not sure if that is entirely the case, as our Kei car had a slot for an ETC card but do keep that possibility in mind for your rental. A redeeming quality of the car is the size is so small it makes parking quite easy, however, I personally found the car frustrating and wish we had spent the few dollars more a day to upgrade to a standard car which we enjoyed much more. The standard car is comparable to a compact car in the United States, typically 4-5 passengers with some storage or a trunk. 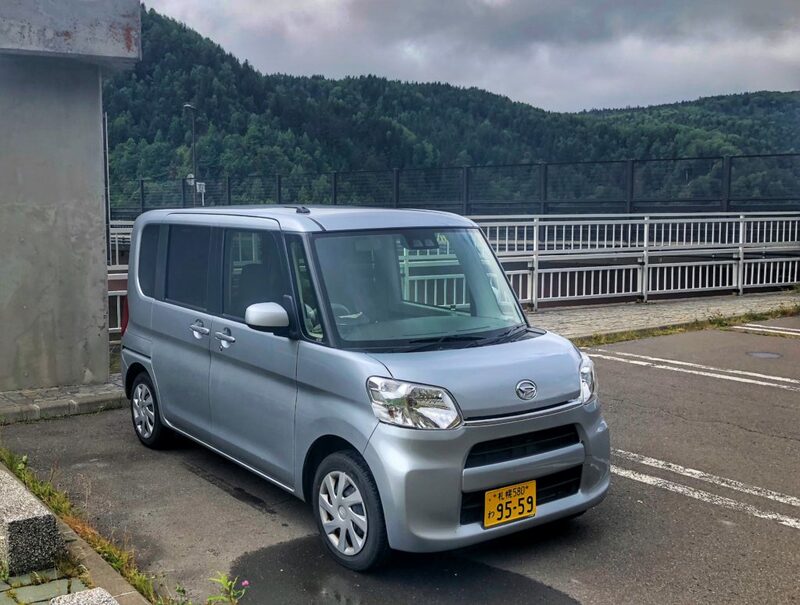 We had two of these cars during our 25 day rental across southern Japan, one was the Suzuki Swift and the other a Honda Fit. 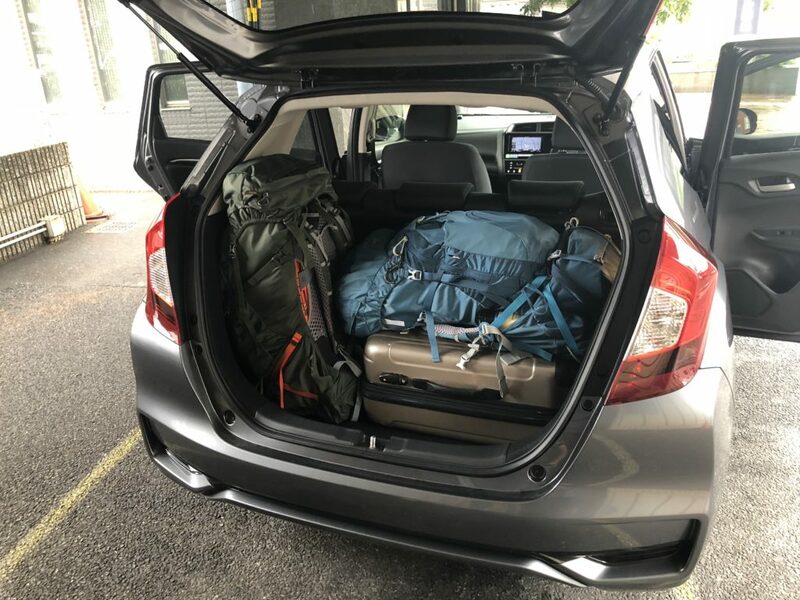 In our opinion, these are much more comfortable than the Kei car and provide ample storage for all of our backpacks, small bags, and a suitcase (especially the Honda Fit). Gas mileage in these cars was also quite good, and we were able to travel several hundreds of kilometers before needing to fuel up. For me, these cars still felt noticeably underpowered compared to most sedans (especially V6/V8 engine vehicles) in the U.S. but not so much so that it made driving uncomfortable. In the Suzuki Swift, we had enough room for one large backpack, a medium suitcase, and a few small day bags to fit in the trunk area, and we sat one other large backpack in the back seat. The Honda Fit had enough trunk space to fit all of our luggage, and have the back row of seats up. During this leg of our trip, the standard car was almost the same price as the economy/light/Kei car option, so it was a no-brainer choice for us. If you are doing more than a few days of driving, even if the price is higher, we highly recommend you spend the extra money to upgrade to the standard car. For groups of 3-4, you might have enough room to pack luggage if everyone is packing light. I don’t think it would be possible to have 4 medium suitcases in the Suzuki, but they might fit in the Honda. I’m not sure if there is any way to specify what type of car you get within a class of vehicles, it might be like in the U.S. just luck of the draw. While we didn’t rent a number of these, there are a few other class options available as well. Green/hybrid cars are exactly what you imagine them to be. Often Toyota Prius or similar types, they are 5 passenger vehicles, provide great gas mileage, and typically have as good or better storage space than a standard car. Minivans/wagons are vehicles for larger groups, typically capable of holding 6-8 people. They are the largest (as far as I am aware of) standard vehicles you can rent in Japan. Luxury and sports cars are available at certain locations for those who are interested in comfort, style, or fun. Once you have selected your vehicle you can select what add-ons you need for your trip. Budget Rental Cars offer free navigation systems with every vehicle we rented, which was very nice when we didn’t have service on our WiFi device. Be sure to ask the staff to change the language to English (or your preferred language) before you leave the shop! Other add-ons include ETC cards (more on these in a minute), baby seats, child seats, junior seats, snow tires, and other safety features. 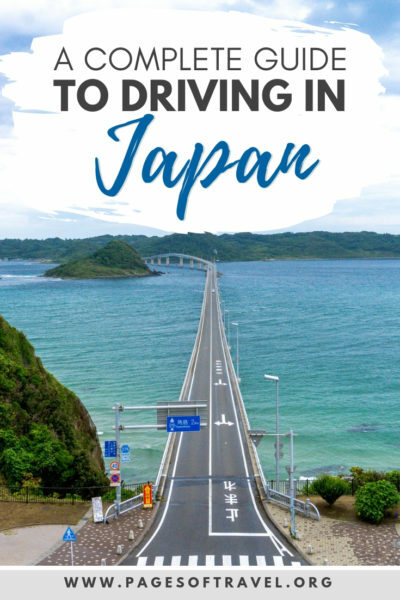 There are a number of roads in Japan that are free to drive on but chances are, if you’re driving any long distance in Japan, you’re bound to drive on one of the many expressways. The majority of expressways in Japan are toll roads, with prices varying depending on the road and how far you drive on it. While the number of the expressways are like divided highways and interstates in the U.S., some are higher speed limit two-lane roads. These two-lane expressways are common in mountainous regions and have tunnels to go through the mountains to speed up travel. Japan’s expressways have a ton of tunnels, we drove through one in Kyushu that was almost 10 miles long! In the next few sections, we will talk about tips to decrease cost and increase efficiency when using toll expressways, starting with ETC cards and expressway passes. ETC cards, or electronic toll road cards, speed up the process of entering and exiting expressways. When your vehicle has an ETC card you will approach a toll gate on an expressway and instead of going through the cash lane, you can drive through the ETC gate. This allows you to merely slow down so a camera and sensor can charge your card instead of you having to pay for each individual toll each time. We loved having the ETC card as it was often much quicker driving through the ETC gates versus the cash gates and it does save you money! The ETC cards also contain information regarding any expressway passes that you have purchased. When you return your car at the end of your rental, the ETC card is removed and scanned ringing up a total for all the toll roads you used. Any highways covered by an expressway pass are subtracted from this total, and you pay the remaining balance. If you do not have an ETC card in your rental vehicle you will have to enter the cash lane where you can pay for your tolls with either cash or credit card. As mentioned previously, during our time in Hokkaido we didn’t have an ETC card so we preferred to use credit cards for tolls, it was more convenient and allowed us to save cash for other places. Use this website to help you calculate tolls in Japan. Expressway passes are exactly what they sound like, certain regions have expressway passes available for purchase that allow you unlimited use of certain toll roads for a predetermined time. 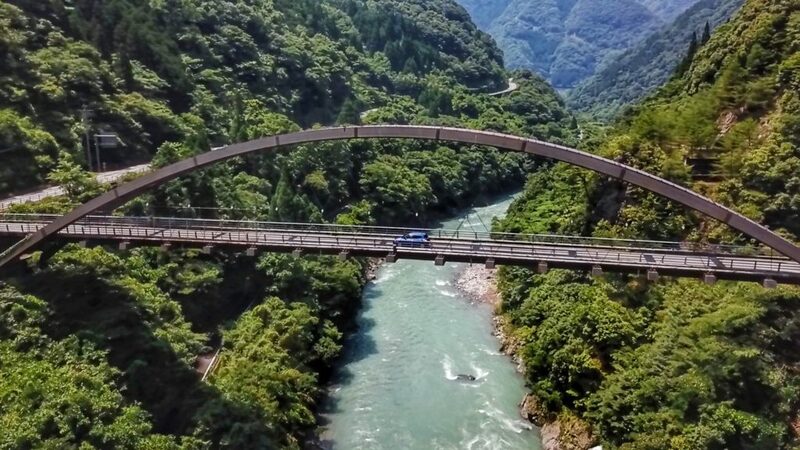 We purchased a 5 day Kyushu expressway pass which saved us quite a bit of money as we traveled on expressways a lot during our time in the region. The cost of each pass depends on how many days you need it for and what region it is in. Do note, however, that expressway passes (often) do not cover all toll roads in a region, and you might find it beneficial to plan your travel route accordingly. 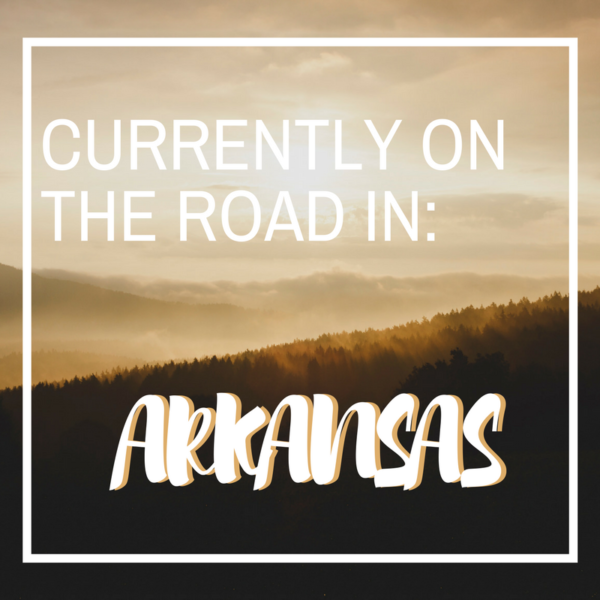 We also tried to purchase multiple expressway passes (for other regions) and were told it would not be possible to purchase more than one region’s pass during a rental period (and it had to be the region you rent the car in). We highly recommend you reserve an ETC card at the time of booking, while they are available same day as pick up, often they are sold out or already reserved by other customers. ETC cards typically have a rental fee of 500-1,000 yen. After you have booked your car and arrived in Japan the next step is to pick up the vehicle! One of the reasons we highly recommend Budget Japan is due to how easy their check-in process is. When we arrived in Fukuoka city from Tokyo, we took a short five-minute walk to the domestic terminal Budget Japan Fukuoka shop. When we reached the counter we presented our passports and International Drivers Permits (more information on IDP later) to start the paperwork. DW typically costs 1,000-2,000 yen a day depending on the vehicle class. 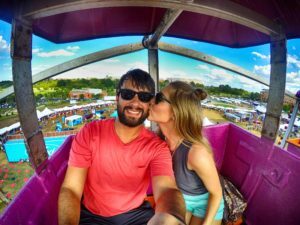 We did not purchase a CDW during our trips due to rental insurance provided by our Chase Sapphire Reserve credit card. If you elect to decline the CDW, we highly recommend you double check your credit card’s rental coverage, as fines for damage/accidents in Japan can be expensive if not appropriately insured. The staff then played a short English video for us explaining a few rules of the road including wearing a seat belt, paying attention while you drive, driving on the left side of the road, and signage. Budget Japan is great because they provide you with a packet of information in English that explains road signs, how expressways work, as well as phone numbers to call in an emergency to take with you in your rental car. Budget Japan also provides language translation services for customers who need assistance but can’t speak Japanese. The staff at Budget Japan’s Fukuoka branch loaded our luggage for us, let us do a walk around inspection of the car, and showed us a few basic features of the car before they sent us on our merry way! Coming from the United States we knew that some of the rules for driving in Japan would be very different than driving in the U.S. but found that aside from being on the opposite side of the road, it was easy to adjust. 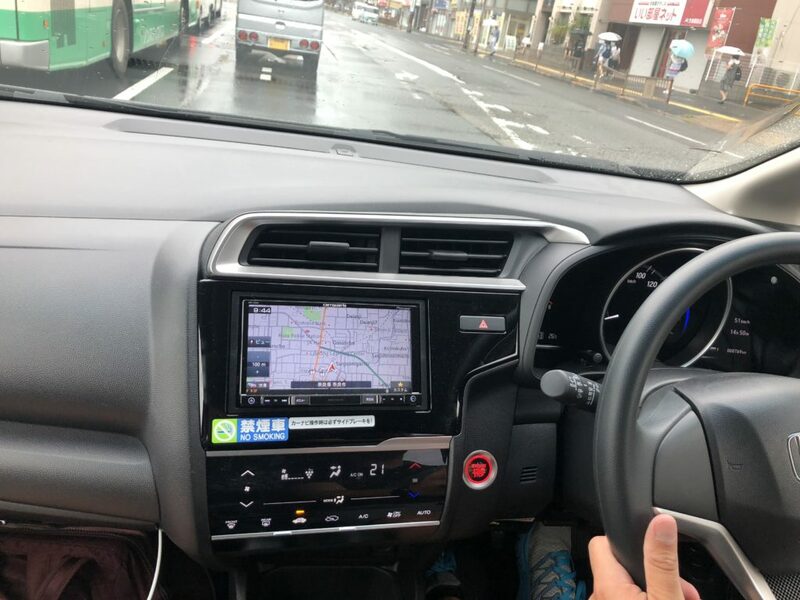 During the time we had our rental cars, we rarely encountered traffic due to the outstanding layouts of the expressways and found that most Japanese drivers were very polite. Drive on the left! When asking travelers while they don’t rent cars in foreign countries, this is one of the most common reasons. While it does take some concentration and keeping your wits about you, if you take your time and exercise caution, I found myself very comfortable driving on the left only after a few days of driving. Another note to be made is the steering wheel is on the right side to compensate for driving on the left. Also, Japan is one of the only countries in the world that has the turn signal on the right side of the steering column! I can’t tell you how many times I accidentally turned on the windshield wipers trying to use my signal. Drinking and Driving is STRICTLY prohibited. 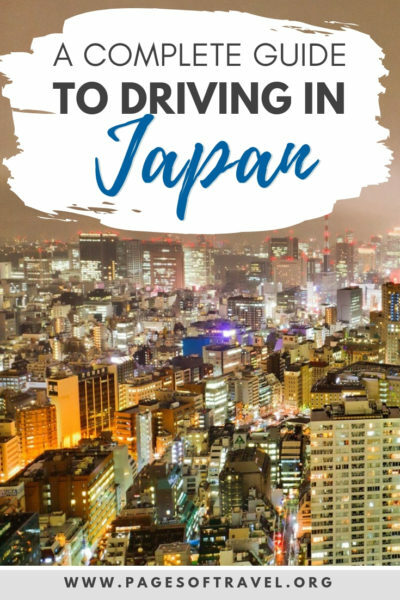 As it is in most countries, however, Japan has some of the strictest drinking and driving laws – should you even have one drink, you are liable for hefty fines or even up to five years jail time. Japan is so serious about drinking and driving that if you were served alcohol at a bar prior to driving the bar is held liable as well. If you decide to go out, make the smart decision to not endanger your life and the lives of others by taking a taxi home or consider trying one of Japan’s many non-alcoholic beer choices. Safety first! Should you get in an accident while driving in Japan you should first move your vehicle to a safe location (if possible), if anyone is injured dial 119 to report the injured person(s), then dial 110 to inform the police about the accident. 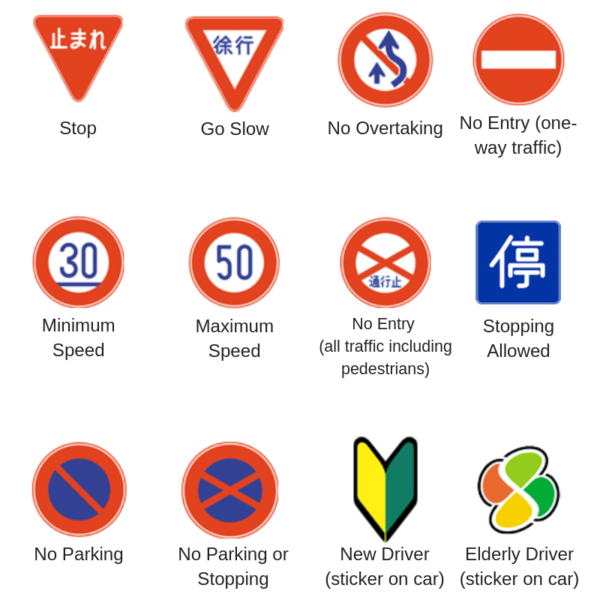 Most street signs are in Japanese and English, but some symbols may look different than what you are used to in your home country (see a few examples in the graphic below). The most common speed limits are 80 to 100 km/h on expressways, 40 km/h in urban areas, 30 km/h in side streets and 50 to 60 km/h elsewhere. It is important to adhere to the street signs as well as speed limits for your safety, but also to avoid tickets. There are many speed trap cameras that you will see on expressways that are able to detect your speed limit and send a ticket to your rental car agency which would really put a damper on your trip! Travelers can drive in Japan if you obtain an International Driving Permit (IDP). You are allowed to drive in Japan with an IDP for up to one year so long as your IDP is not expired. You WILL NOT be allowed to rent a car in Japan without an IDP so make sure you get this ahead of time! International Driving Permits must be purchased and obtained in your home country prior to your trip. If you are a United States citizen, you can apply for an IDP through the American Automobile Association (AAA, yes the people that give you discounts on Disney and fix your flat tires) or the American Automobile Touring Alliance (AATA). Now you can do this in one of two ways, you can either mail the required documents and receive your IDP in the mail or you can visit an AAA office in person. We decided to visit our local AAA office to get our IDPs, but be sure to call and ask beforehand to see if your location is able to process the IDP in office. In a hurry? Certain courier services, like Fastport Passport, also offer expedited IDP that you can receive within 24 hours of completing your application! However, be aware that there are numerous websites and organizations that sell fake IDPs. AAA and AATA are the only organizations in the U.S. who issue IDPs. Some couriers can provide expedited services, but you need to verify they are processing your application through the AAA or AATA. The process of obtaining your IDP is fairly simple and doesn’t hurt the wallet too much. Obtaining an IDP in other countries may require additional information or documentation, so for simplicity sake, we are only going to discuss what is needed to get an IDP in the United States. First, you must be at least 18 years or older to apply for an IDP. For U.S. travelers, your IDP is valid for one year with a valid U.S. driver’s license. You cannot renew an International Driving Permit like your typical driver’s license but can apply for a new one when necessary. Registering for an IDP in the United States costs $20.00 plus any applicable shipping and handling fees. Additional fees may also apply for your IDP photo (passport photo size). Photos are free for AAA members when getting your IDP at certain AAA offices. There are over 150 countries and regions that accept the IDP listed here. However, driving rules vary from country to country so you still need to learn the local rules of the road before driving. Gas stations in Japan are easy to come by and typically provide full-service, but recently, self-service stations have started showing up. Be aware that each gas station and chain varies on its opening hours, service type, and payment method. Cash and credit card payments are generally both accepted but during our road trip, there were a few occasions where cash was the only form of payment so make sure you are carrying ample cash on you. Prices are listed in cost per liter on signs outside the service station. 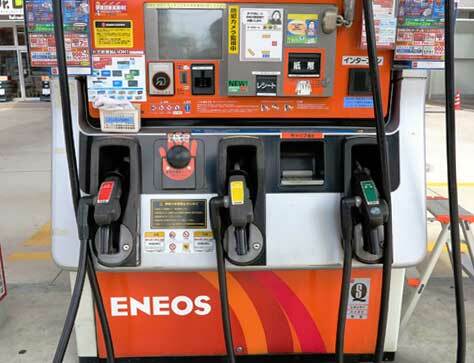 Some common service station brands include Enos, Shell, Esso, Idemitsu, Cosmo and JAss. Upon arrival at a full-service station, an attendant will typically direct you to an open stall. There you will open your driver’s side window, turn off your vehicle, and unlock your gas tank typically with a small button or lever located inside your vehicle on the driver’s side. The attendant will ask you what kind of gas you would like, how much gas you would like, and how you will pay. The attendant may also offer to clean your windshield with a wet towel free of charge. At a self-service station, you may notice that there are only Japanese menus. If you have trouble, an attendant should be present or you can press the call button to receive assistance or you can also use the camera setting on Google Translate to help you should there not be someone available to assist. “Kurejittokādo wa daijōbudesuka?”: Are credit cards okay? Parking your vehicle in Japan can be a little tricky and can quickly become expensive if you aren’t careful. If you are planning to drive in Japan see if you are able to find hotels that offer parking for free or for a nominal fee. This will save you time and money in the long run as the hotel fees for parking are typically around 1,000 yen a night or less. While some temples and shrines have free parking, not all do and most other types of attractions will have hourly parking lots at or near the attraction. We used Google Maps and ParkMe.com to try and find the cheapest (and best located) parking lots for areas we wanted to visit. 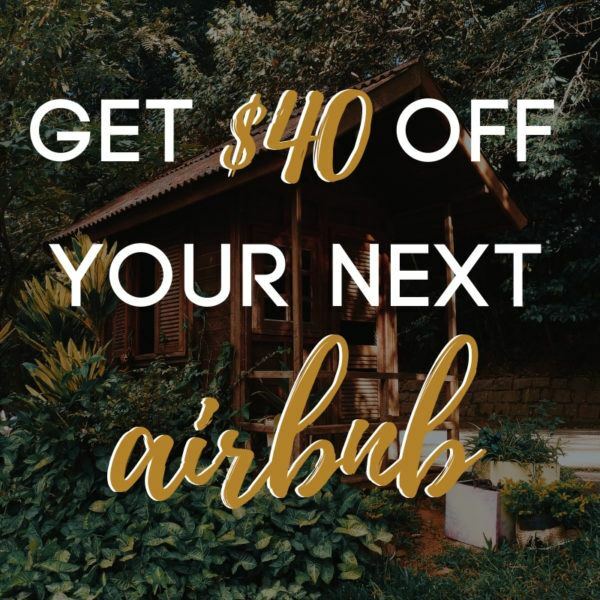 Other times we would just park at the hotel and walk or use other transportation for short distances due to the convenience and price being cheaper than driving directly to the attraction. In the United States if you see a police vehicle with its lights on it typically signals that you should pull over. However, in Japan, it signifies something different. Should you see a patrol car with its lights on it simply means that they are “on-duty.” However, if the patrol car turns on its sirens then you should pull over. While service stations are fairly easy to find in Japan, there may be times in remote areas or expressways that the nearest station is a sizeable distance away. We recommend fueling up frequently and keeping an eye on your fuel economy to keep in mind when to make the next stop. The freedom of being able to go as you please versus waiting for a bus or a train is great, especially in remote areas where public transportation is not as readily available. Driving in cities can get frustrating and parking is expensive, therefore we still think that in most major metropolitan areas, public transit is the way to go. However, from the mountains in Kyushu to the sand dunes in Chugoku, some of the most beautiful views we experienced in Japan were due to us having a car. 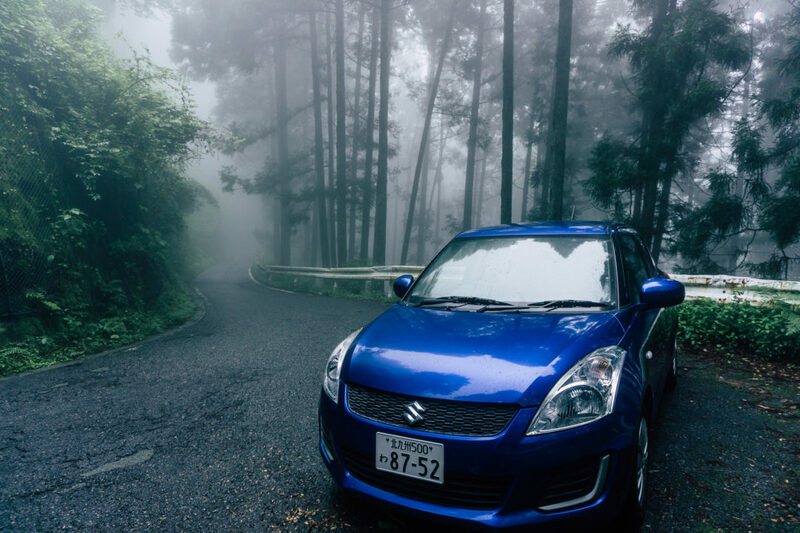 If you’re wanting to get off the beaten path and experience Japan in a way only a few ever do, we highly recommend you grab a Budget rental car and have the road trip of a lifetime. What other questions do you have about driving in Japan?